The right food can make a big difference in your pet’s health. But it’s easy to get confused or overwhelmed by all the pet foods on the market. We can help you weed through the choices and find the food that meets your growing pet’s nutritional needs. There are a wide variety of therapeutic diets available for all life stages and disease conditions. A veterinary consult will help you learn about prescription diets that make sense based on your pet’s age and health status. And put your mind at ease! If you’re ready to meet our veterinary team, call Companion Animal Hospital today at 306-783-3349 to make an appointment. Different types of food have different advantages and disadvantages. DRY FOOD is definitely less expensive. It can be left in the bowl without spoilage for longer periods of time than canned or moist foods. It also provides better mechanical action on your pet’s teeth and its easier to store. SEMI-MOIST FOODS may be acceptable, depending on their quality. The texture may be more appealing to some pets and they often have a stronger odor and flavour. However, semi-moist foods are often high in sugar and calories and should be carefully chosen based on their nutritional qualities rather than taste, packaging or consistency. CANNED FOODS are a good choice to feed your pet but they are considerably more expensive than either of the other forms of food. Canned foods contain a high percentage of water and their texture, odor and taste are very appealing. However, canned food will dry out or spoil if left out for prolonged periods of time. Canned food is generally more suitable for meal feeding rather than free choice feeding. TABLE or “PEOPLE FOOD” are not usually recommended for pets. Because they are usually very tasty, pets will often begin to refuse their well-balanced food in favor of table food. If you choose to give your pet table food, be sure that at least ninety percent of its diet is from a quality commercial food. If not, follow a properly formulated recipe that has been developed by a formally trained veterinary nutritionist. Humans enjoy a variety of things to eat in our diets. But most pets actually prefer not to change from one food to another unless they are trained to do so by the way we feed them. Don’t feel guilty if your pet is happy eating the same food day after day, week after week. We recommend buying brands that have been certified by an independent organization as complete and balanced. In Canada, look for foods approved by the Canadian Veterinary Medical Association (CVMA) or foods that are labeled as having undergone rigid testing with food trials. In the United States, look for food that has been certified by AAFCO, an independent organization that oversees the entire pet food industry and certifies that the food has met the minimum requirements for nutrition. Commercials for pet food can be very misleading. If you watch carefully, you will notice that commercials often promote dog food based on TASTE, SHAPE OR CONSISTENCY. Nutrition is rarely mentioned. Most of the “gourmet” foods are marketed to appeal to owners who want the best for their pets. Unfortunately these foods don’t offer any nutritional advantage over a good quality dry food. And they are far more expensive. 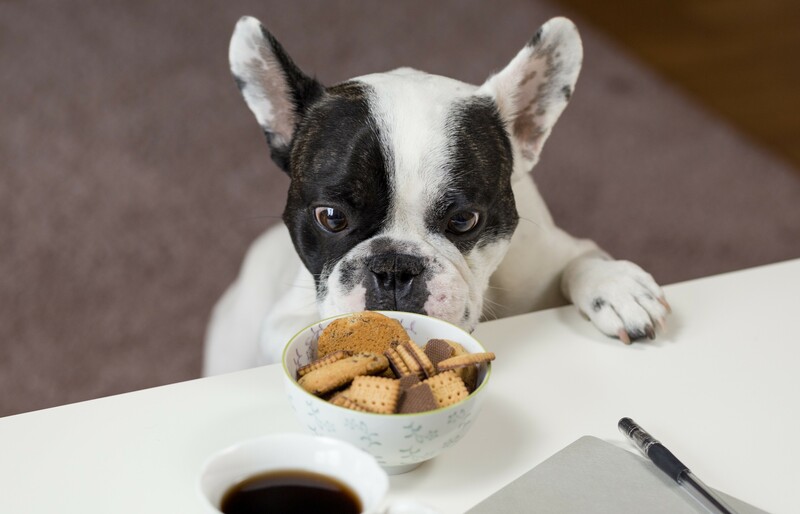 If you read the labels of many of the gourmet foods, you will notice that they do not claim to be “complete and balanced.” If your dog eats a gourmet food long term it may be at a risk of developing nutritional deficiencies and weight problems. 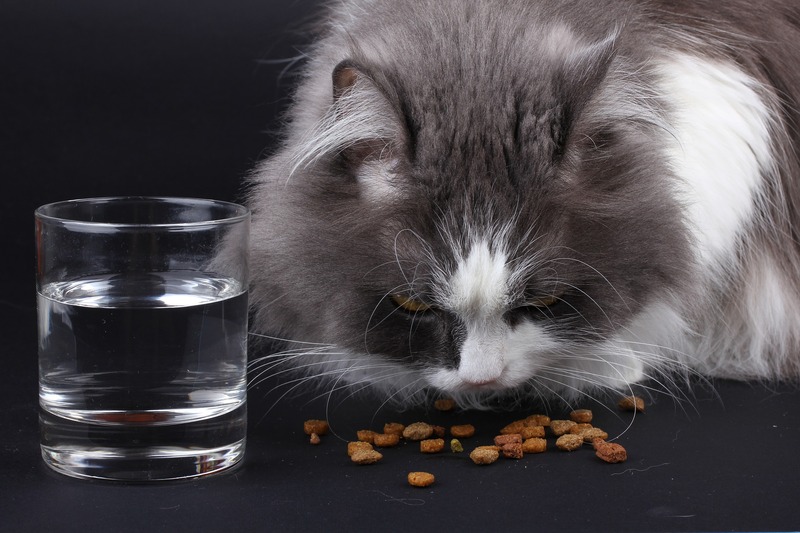 And later in life, if your pet needs a special diet due to health problems (arthritis, diabetes) it may be less likely to accept the necessary prescription diet after a lifetime of gourmet foods low on nutrition. We offer a wide variety of therapeutic diets for all lifestages and disease conditions. We also carry supplements for general wellness, acute and chronic disease conditions as well as lower-calorie treats you can use while you are helping your pet manage its weight or to administer medications. The right food can make a big difference in your pet’s health. The proper diet can manage your pet’s weight, provided help with diabetes control, promote joint health and arthritis management as well as address allergies and skin conditions. We can recommend a diet for your pet and will spend time with you reviewing your pet’s status to find a diet that will best manage their health, dental and age needs. Call us today to schedule an appointment to discuss your pet’s nutritional needs.